How did 300 cars come to be trapped overnight, on a highway, in the middle of a snowstorm? 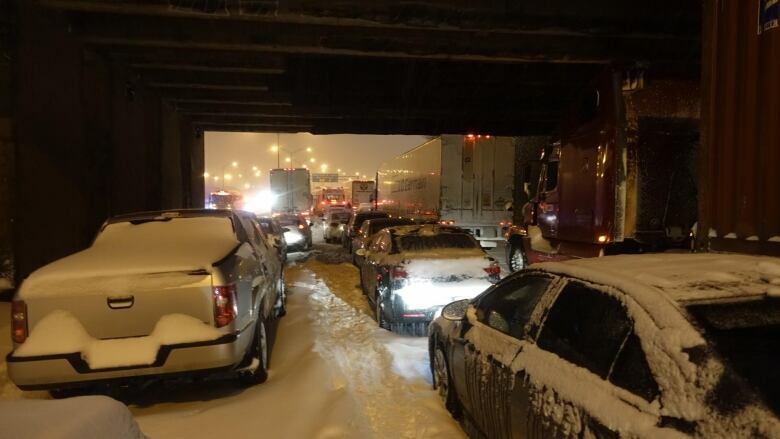 Here's a minute-by-minute breakdown of what happened Tuesday night when hundreds of motorists were trapped on Montreal's Highway 13. On the CBC App? Click here to see the timeline.